A fitness-focused lifestyle is about dedication to a goal and grinding away daily in order to make it happen. 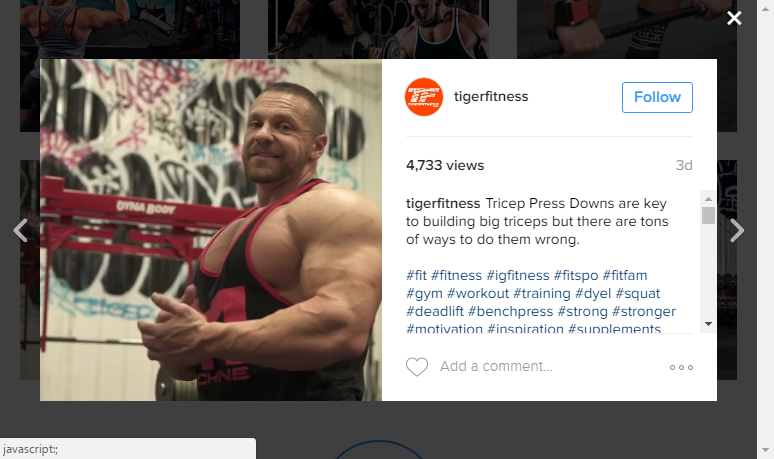 The marketers at TigerFitness took that mentality and applied it to making their customers feel like “more than just a number” with content and video marketing. See how they’ve risen to consistent viral video status by working daily to pump out quality, high-value content. Tigerfitness.com is an online nutritional retailer that sells workout supplements, alongside free workout and fitness content. One of the main ways the company differentiates itself from stiff competition is through personalized service, which has allowed it to build up a loyal customer base. “We have a 60% returning customer rate — three-plus times — which is unheard of in any industry, including brick and mortar retail,” said Marc Lobliner, Chief Executive Officer, MTS Nutrition and Chief Marketing Officer, TigerFitness.com. The driving force behind that is the motto that the customer is more than just number one, and every effort should be over-delivering with customer service. But at the same time, we provide cutting-edge and innovative products to keep people coming back. 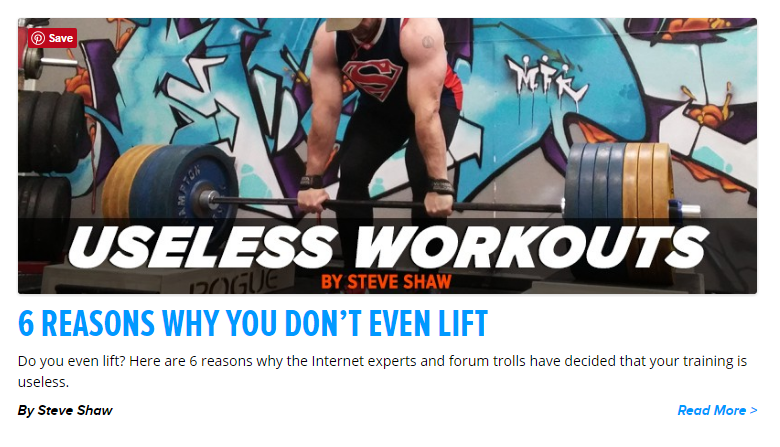 “The thing about TigerFitness.com, [is that] it's one of many. Especially with Amazon entering the marketplace, that lands us with a brand-new challenge that we're not used to facing in the retail marketplace, which is an uber-retailer who's putting people out of business left and right,” said Lobliner. “You cannot compete with Amazon on price. You cannot compete with them on service … So at the end of the day, what are you going to compete on? It leaves us one thing: You're going to compete with them on personalization,” he said. In the face of this, customer service and branding has become the way that TigerFitness can distinguish themselves and drive sales. By setting themselves up as thought leaders in the fitness world, Lobliner and his team are providing valuable information to customers. “Nowadays, you have to provide content. You have to give people a reason. A reason to come back. A reason to shop. And you have to earn their business. It's a very competitive landscape,” he said. To double down on that, the team spends marketing resources on video and other content to use across the website and social media like Facebook and YouTube. “The only way you can really get the message of personalized service across to people is by helping them reach their goals, at least in my arena, in my niche. So, that's what we do,” he said. Lobliner and his team use blog and video content to serve as that lifeline for customers, to answer every possible question and be a continuous resource. “We provide good information that'll help people,” he said, adding that “there's a lot of crap out there,” and it’s vital that they use content to connect with customers and associate the brand with quality. As part of the company’s devotion to customer service, Lobliner personally answers over 100 customer emails a day, he said. “I'm the most overpaid customer service agent in the world. But that's what we do, and we are the face of the company, and we represent what we do, and we're proud of what we do, and that's the only way,” he said. Stellar customer service, he said, is the value proposition — and what they’re “over-providing.” It bleeds into every marketing segment, especially social media channels like Facebook and YouTube. “YouTube is a big component of what we do [with social media.] We spend a lot of time, a lot of resources on YouTube,” he said. They create content for YouTube that focuses on training videos, educational videos, product reviews and even videos like “a day in the life,” which follows Lobliner around for the day, to “do whatever we can to promote that lifestyle, and lead by example” videos. Facebook has a similar approach, except with more ads, featuring images instead of videos. Instagram focuses mainly on inspirational posts, either through imagery or by posting inspirational quotes. There is the brand account, but Lobliner also keeps up his personal account, where he mixes in his own family posts with training and short how-to videos. “We’re not afraid to work hard, and social media allows us to grind. The harder you're willing to grind, the more limitless your opportunities are,” he said. “When I go to trade shows and I say, ‘How are you doing?’ I truly mean it,” Lobliner said. Even though he usually prefers his personal space, he said, he makes an effort to go out of his comfort zone at live events and make a connection with people. “When I meet people in public, and this goes along with ‘you're more than just a number,’ I don't shake people's hands or just give them a fist bump. In fact, on all our marketing, it says, come meet me at a trade show, free samples, free whatever, and free hugs. So free hugs has become kind of our thing,” he said. “[If] this guy is wondering about a video on testosterone replacement therapy — what are the cons of starting it at a young age if you're diagnosed? What are the pros? Things like that. And while that might only hit a base of 2000, it might be a base that no one else has hit,” he said. When he gets a question, Lobliner said, he tries to answer it himself. This requires that he have a broad knowledge base and that keep himself well informed about every aspect of his industry. He’s been in the industry for nearly 20 years and, in that time, has strived to become an expert in it. Because of this, he added, he can answer almost all of the questions that come in himself. Which is why he frequently engages in Facebook Live events, where he can answer whatever question comes to someone’s mind. Those live events are saved onto Facebook once concluded, so they become content that others can find and watch later. Lobliner records live as often as possible and utilizes an open Q&A style. Just by having an open forum, he said, the conversations are more productive and organic. When Lobliner gets a question that he feels is either one that many people could benefit from, or is simply easier to explain through video, he’ll film a short, one-minute answer. “What happens is, I'll be at a car wash or on the road … and I'll read an email, and it's just an interesting question, one I just don't feel like typing out, and I'll just film a video,” he said. A lot of CEOs or executives, don’t allow that kind of accessibility, he said, but, it’s vital for a company to put the customer first. Once those answers are filmed, they’re posted onto the TigerFitness YouTube page and any other social media outlets where it might gain some traction. Instagram especially, he said, can be good for quick-hitting videos. At one point, Lobliner had a very professional video set-up, but found that going with a completely high-tech set up wasn’t increasing growth, and it may have even been stunting it. Now, he said, they mix the edited high-end videos with ones that are quickly put up and some that are just filmed using a smartphone. Content like the online training videos have to be filmed using a 4k camera and edited for the best shots. But, “probably 50% of our content can be done on any iPhone 6,” he said. However, being able to film on the fly with lesser quality equipment like a smartphone is an asset, he said, because timeliness is key, and being able to pivot quickly is one of the company’s advantages in the industry. “If there's something hot that's out there, if there's a trending topic, you're damn right I'm going to rock out the video right away,” he said. There is absolutely nothing wrong with low-budget, he said, and marketers shouldn’t shy away from video just because they can’t afford a high-tech setup. “You don't have to spend a lot of money to get results,” he said. When Lobliner first began posting videos in the beginning of 2012, he was initially against it because he didn’t want to get too personal with content. They began by posting simple product reviews — the first of which ended up getting 70,000 views in a week. “I just kept doing product reviews, and then I started answering customer questions from the website, and the website kept growing,” he said. At that time, he was an amateur bodybuilder, and when he began thinking about going for his pro card, he began filming his training. “[The camera] was, like, the lowest resolution possible. And started out that way, and then it became more of a lifestyle/training/Q&A. It just kind of went all over the place. But it grew organically,” he said. “My job was to build a brand and to integrate it within the site, and I was focused on that, but I never once thought I'd be on YouTube, you know? I thought it was silly,” Lobliner said.